Photo: Martin Cheairs House, ca. 1854, U.S. Route 31, Spring Hill, TN. Listed on the National Register of Historic Places in 1976. Photographed by User:Hal Jespersen (own work), 2009, [cc0-by-1.0 (creativecommons.org/publicdomain/zero/1.0/deed.en], via Wikimedia Commons, accessed October, 2012. The Maury County Courthouse is located at 41 Public Square, Columbia, TN 38401;phone: 931-381-3690. 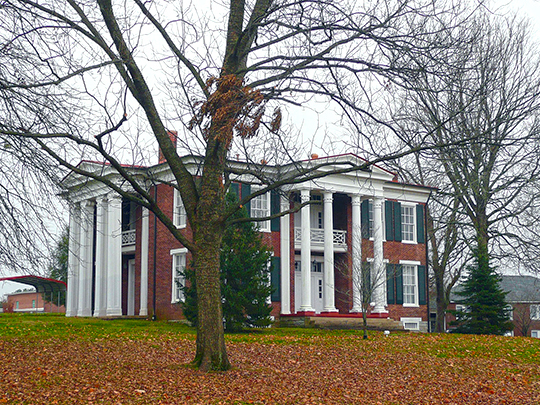 Maury County was established in 1807. Columbia was designated the county seat the following year. The first courthouse was built in 1810.